We opened our studio doors eight years ago and have three decades of combined industry experience designing and installing large graphics. Our team can install graphics on practically any surface, such as an office floor or an 18-wheeler, and we offer graphic fulfillment and drop shipping services as well. Our company is a proud member of the Piedmont Triad Apartment Association and the Guilford Merchant Association, and you can count on us to deliver excellence in service at all times. Working with SpeedPro is easy, and you can think of us as an extension of your marketing team. If you have one vehicle or an entire fleet, we can design truck and car wraps that will help you emphasize your brand and spread a particular message. If you host gatherings, we can make them more functional and appealing with products like event tents, outdoor signs, and directional signage. 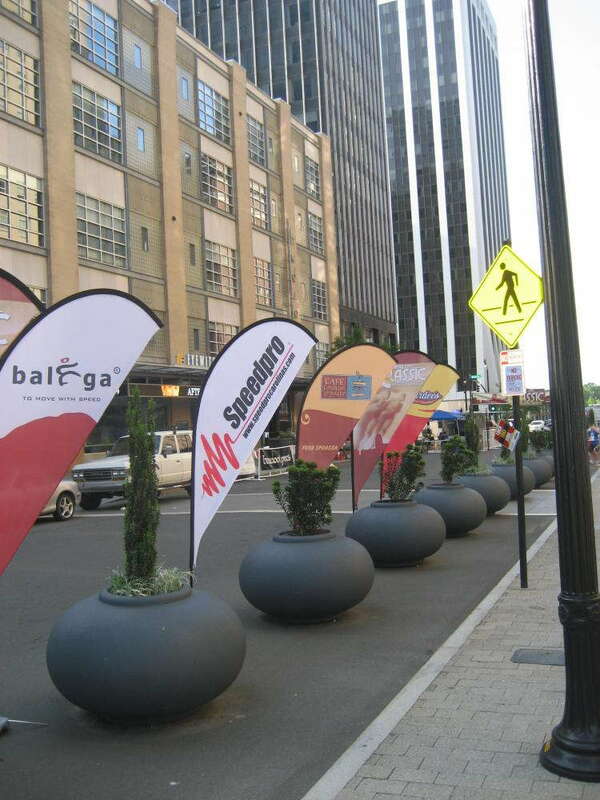 Permanent places of business can be enhanced with table toppers, point-of-purchase displays, and wall murals. You deserve personalized service and attention to detail, and that’s exactly what you’ll get from us at SpeedPro. Contact us today for more information about our large format printing services. Located near Piedmont Triad Airport, we provide support throughout Greensboro and the entire Piedmont Triad area, including Winston Salem, High Point, Kernersville, Burlington, and Asheboro.